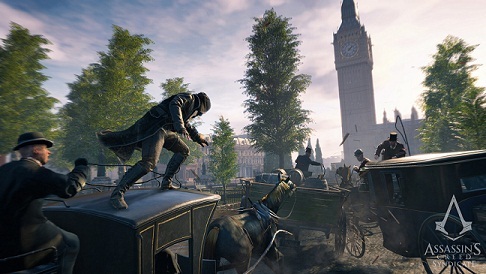 Jacob Frye is one of the two playable characters in Ubisoft’s action adventure game Assassin's Creed Syndicate, the other character is his twin sister Evie. Both siblings were born in Crawley and also trained as assassins. They both have different deadly talents and skills, which of course affect their style of fighting, or their skills. Of course, the actual performance depends on the hands of the player. In this guide, we list all the abilities of Jacob and his numerous Assassin weapons and we also provide you some information about the new combat system. - The combat system has become much more brutal and direct, with a clear focus on melee close to the opponents. This means the focus is more on the fight shorter stabbing weapons and less on classic ranged weapons. - The battlefield was also extended to coach, so Jacob can pursue the enemy with the coach and ramming enemy carriages and relegate the opponent, the course and then the vehicle can be damaged and neutralized. - Or. let the carriages are "board" and "hijack". This means that often comes to duels on the roofs of carriages. The carriage will automatically follow an intended target and does not come off the road. - Fights on trains are also to be expected, making the chases even more interesting. 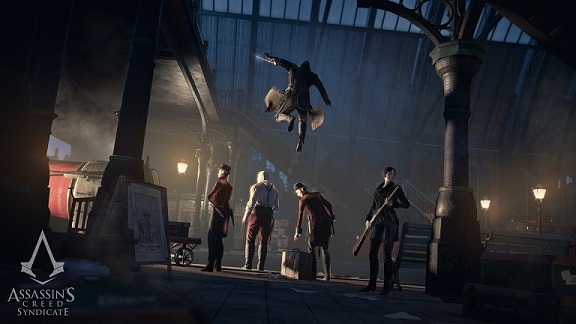 - In addition, your Assassin now has said rope launchers, using these tools you can now get quicker from the danger zone and for example climb a building or quickly jump on a moving carriage or a train you. Especially with car chases, this is an enormous improvement. - In addition, you can also quickly move horizontally, with the line launcher can be cross quickly. - The game character is especially suitable for players who like to jump directly into the melee and let prefer talking brute force and place less emphasis on ranged weapons. Brutal rainfalls are his specialty and he is just as fast and deadly in handling the hidden assassin blade and with the Kukri. - Jacob is nevertheless a classic Assassin with good stealth abilities and despite his stature, he is a very nimble climber. So he may well follow on foot or on the roofs of every opponent. - This is a unique capability that Jacob has, it is a sort of "sixth sense". This is to the descendants of a mysterious "great civilization" inherited by keeping the bloodline descendants of pure, over the centuries. The eagle vision can be developed and improved by training. Those who possess this gift can, objects and people perceive differently and even feel them. For "Adler sense" developed, even a heartbeat can be identified at great distances. The ultimate Assassin ability. The forearm blade! 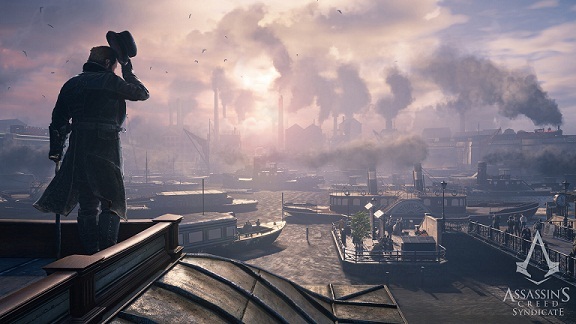 - The classic but improved slightly: The gun was equipped with a grappling hook. Kukri - This type of dagger comes in its original design from Nepal, the form is ideal to perform both bats and stitches, or slit the throat.